The first Digital Personhood Network Meeting took place on the 6th & 7th of March 2014 with keynote presentations from Research Council staff, Professor Chris Hankin and Laura Hood from The Conversation, as well as updates on the five Digital Personhood sandpit projects. The sandpit projects cover a diverse range of Digital Personhood aspects, from the business of generating new socio-economic models, to dealing with multiple digital personas and significant life transitions. They involve academics and collaborators from a wide range of backgrounds, from microeconomics and anthropology, through to web science and law. The meeting was attended by a wide range of both project members and other stakeholders. Its purpose was to collectively generate a ‘research landscape’ for this area, and in addition identify potential joint impact activities. After providing their answers delegates were invited to take part in a remote, online study in which they each sorted all of the submitted responses into groups of similar answers. This information was used with the ‘Well Sorted’ tool to produce the ‘average’ sorting. 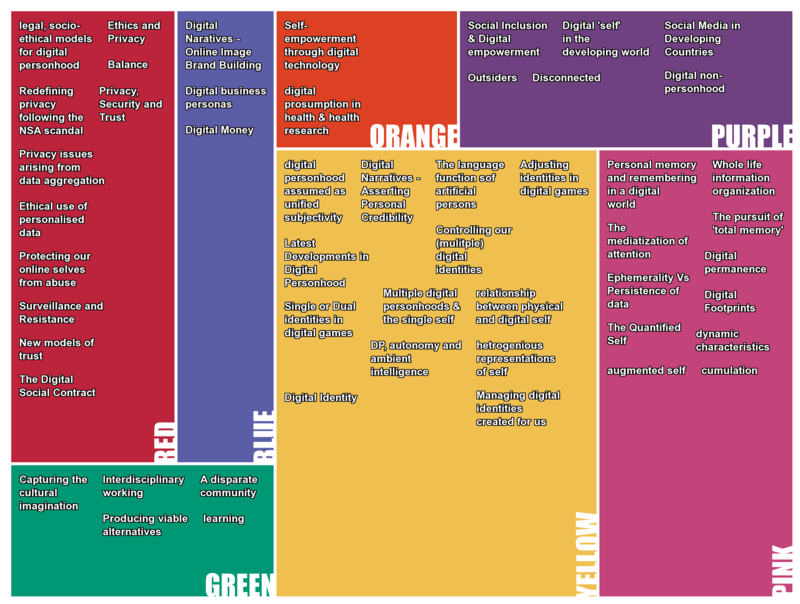 The resulting groups of challenges and impact activities were used to drive breakout sessions which generated the different sections of the Digital Personhood research landscape. N.B. This page shows the challenge results (Q1). For more information see the Meeting Documents section below.